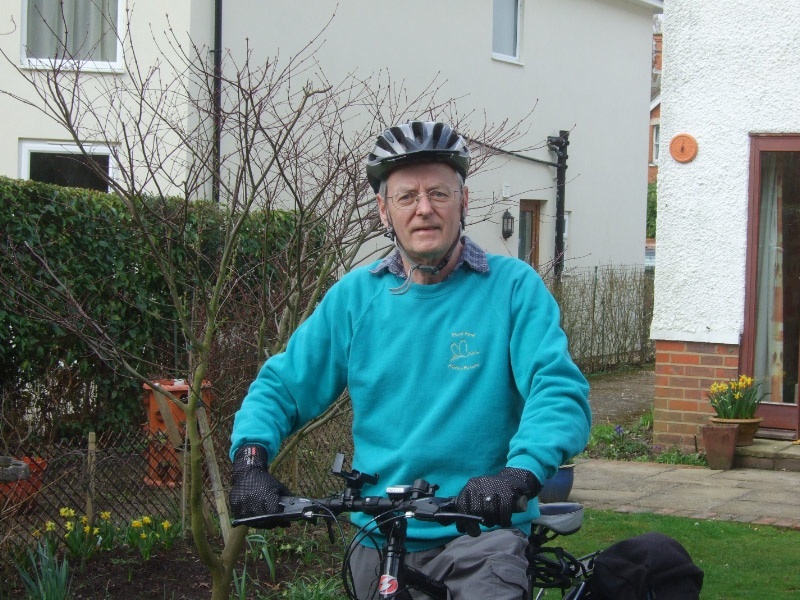 When I volunteered to cycle about 500 miles to Liverpool and back to support Fleet Pond Society’s Clearwater Campaign, the summer seemed a long way off. 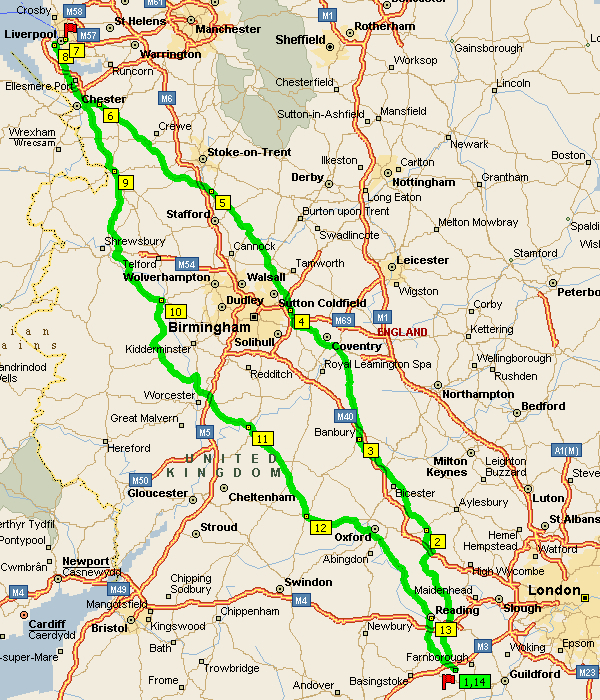 Now, after months of training, I only have a few days to go before I set off on Sunday, 4th July. A map of the intended route is given below. 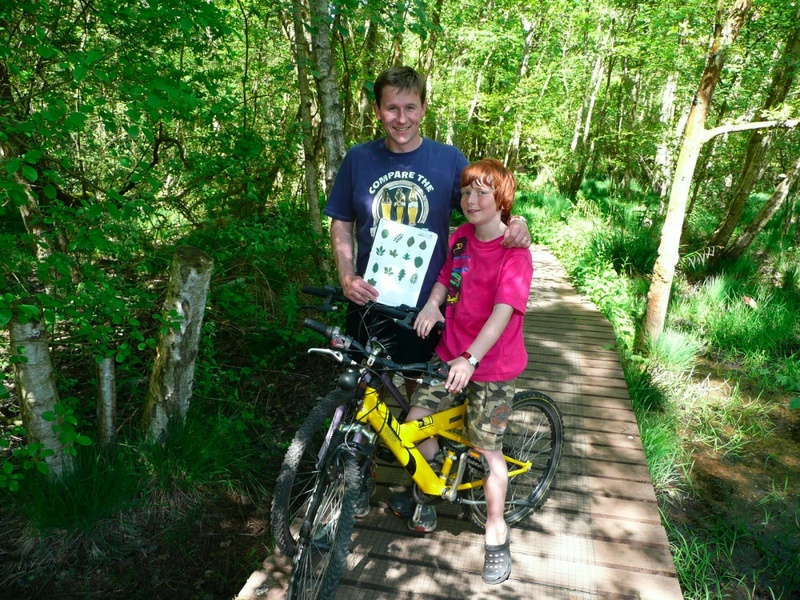 So far I have raised a few hundred pounds in sponsorship from a small number of very generous donors. As I will be riding alone and as the spell of fine weather seems to be coming to an end, there may be days when my spirit will flag. If, however, when I get to my night’s stop, I find that more sponsorship money has come in during the day, this will give me quite a boost and set me up for the next day’s ride. There will be a separate post at the top of this blog (updated daily) that records my progress, so log in on Sunday evening to see how I do on my first day, when I hope to go via Henley-on-Thames and over the Chilterns to Thame. The opening of anything at Fleet Pond is always a chance for celebration and the new jetty recently opened was no exception. 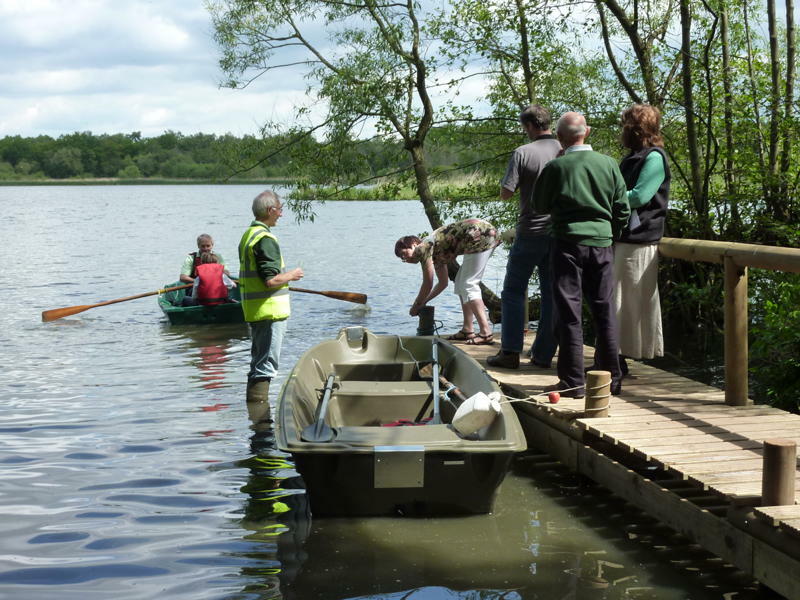 The jetty was the brain child of Terry Austin, a member of the Fleet Pond Society Committee and leader of the offshoot volunteers, the ‘Last of the Summer Wine‘ team. 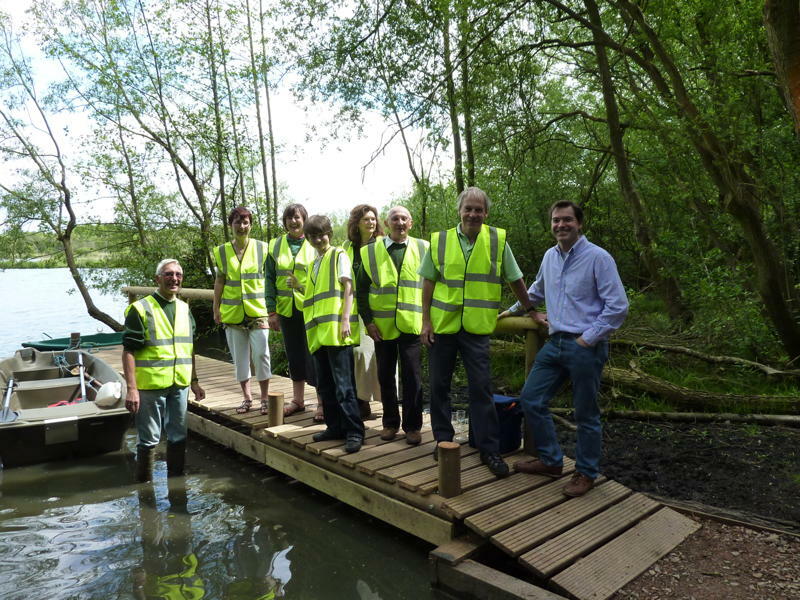 Terry, along with Mandy Saxby reads all the dipwells and this jetty will allow them to launch the boats easily to get to the more inaccessible ones. 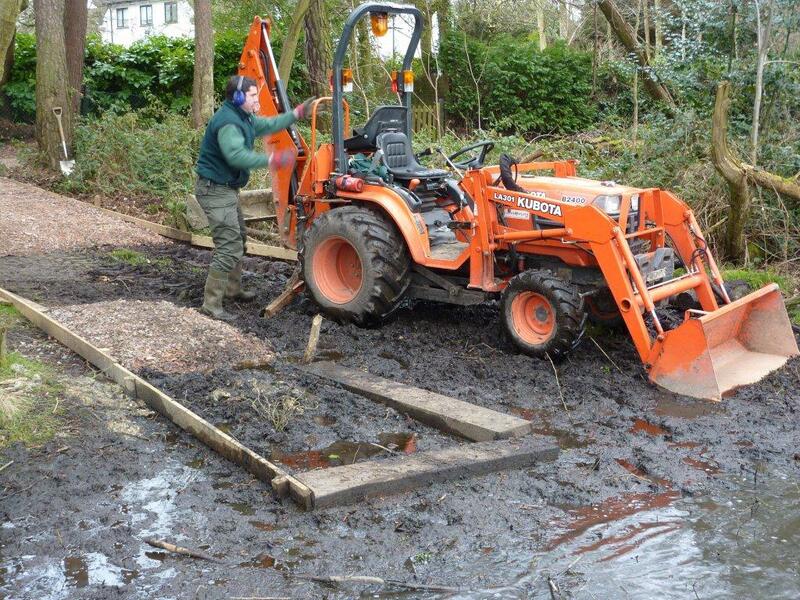 The wood for the uprights was kindly donated by Fawns Recreational Services of Farnborough and the Fleet Pond Society bought the decking planks. The Fleet Pond Rangers were a big part of this project too, digging out all the mud in the first place and hiring and operating the hole boring machine. This hole made placing the uprights in the correct position a much easier job. Many man hours of work went into this project and the Society is very grateful for the assistance of the Rangers and the ‘Last of the Summer Wine’ team for their hard work in bringing it to completion. 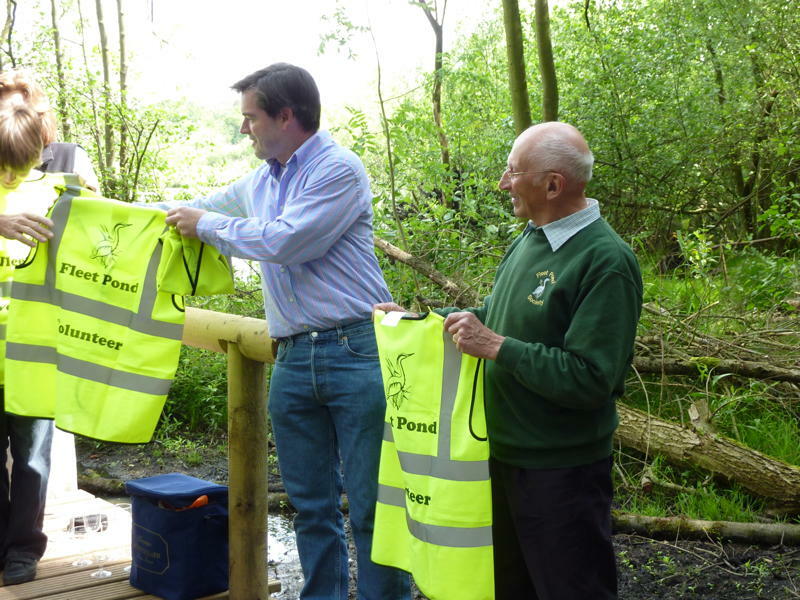 A very big thank you must also go to Phill Gower of Cove Industries who donated the smart fluorescent green tabards we are all wearing saying ‘Fleet Pond Volunteer’. Come And See The Cows At Wood Lane Heath! Our cows have once again returned to Wood Lane Heath for the summer. The three Irish Moiled boys are called Mirror, Milo and Maltloaf and are from Millers Ark Farm. 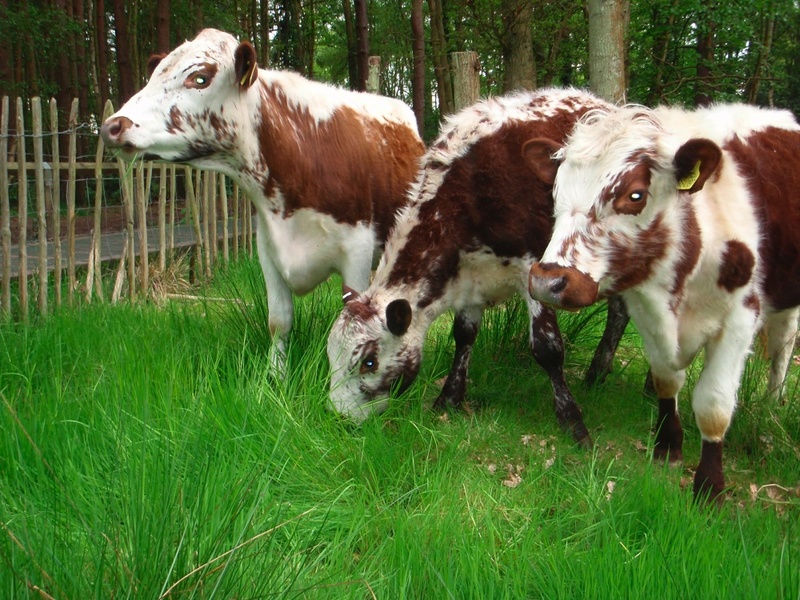 The purpose of grazing the heath is to keep the Purple Moor grass and scrub under control. The cows will eat the juicy grass and the fresh green leaves of the young birch saplings which will keep the vegetation sward open and low. This then allows heather and other heathland plant species, some of which are very rare in Britain, space to grow and flourish. 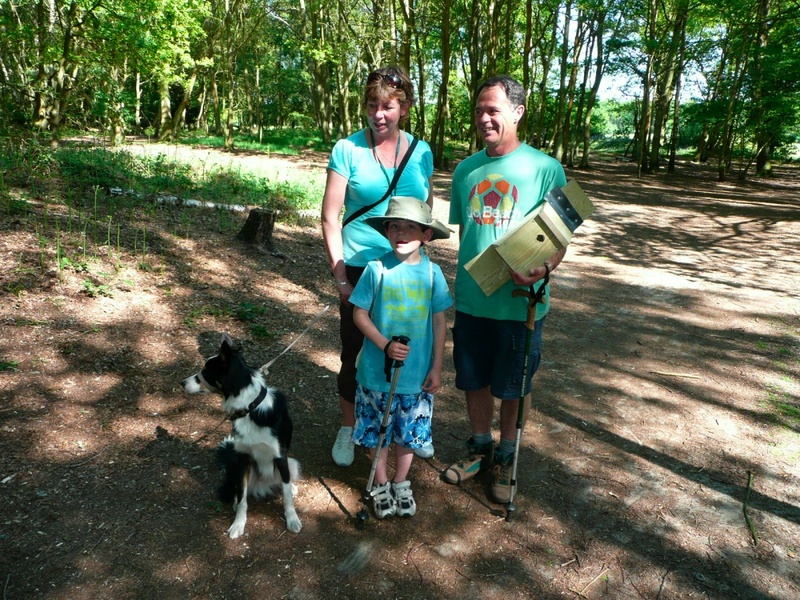 Members of the public are still allowed through the heath while the cows are here, although dogs should be kept under close control or on a lead. The cows are very used to people nearby but don’t like to be stroked or patted! They also have plenty of food to eat so we ask the public not to feed them anything as it could upset their digestive systems. If the cattle are on the path and you want to pass them, just make them aware of your presence so as not to startle them and they will usually move out of the way or just stare at you in a curious manner! The cattle are monitored closely by the Rangers and by our volunteer “lookers” who regularly check the general heath of the cows and make sure that they have enough water to drink. We are very grateful to all our volunteers who keep an eye on the cows. In the next couple of weeks we expect some more cows to arrive. These will be grazing the Marsh for the summer and we will post an update on this soon! By the way, the names and tag numbers are: Mirror (tag number 191), Milo (196) and Meatloaf (197). The soft earth that forms the banks of the Gelvert Stream has eroded as weather conditions, and dogs scrambling into the water, have caused soil to fall into the stream. This month’s task was to try and patch up one of the largest caverns that’s developed. With the help of the tractor, we managed to drag a sleeper from further up stream and use it to patch up the lower part of the bank. A couple of posts were then sunk in front of the sleeper to hold it in place. We then gathered some supple willow trees from nearby and weaved them in and out of the posts to form a barrier. The next task was to fetch a few trailers full of sand from the large pile behind Sandy Bay. This is sand that’s been dredged from the pond and is now being used to repair footpaths and stream banks. We needed plenty to plug the gap behind the willow barrier. Once it had all been pushed down into place, the job was done, and the hole repaired. 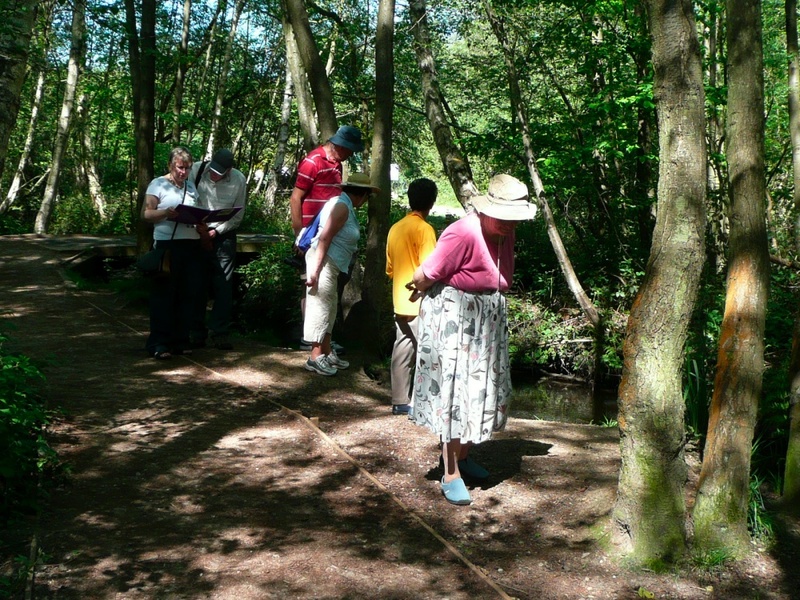 The next volunteer work party is on Sunday 13th June and may well entail further stream bank repairs. 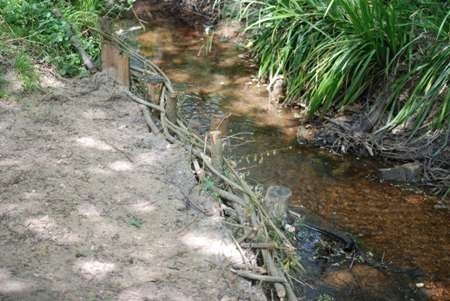 “The Gelvert Stream banks between the end of the Gelvert Glade boardwalk and Sandy Bay need some repair and tidying. As this area reduces the distance from a source of back fill sand I think we should tackle this section on Sunday. The stretch which is reinforced by sleepers needs to be raised with our “hurdle” method to bring it level with the main path. If we have enough planking (not sure on this point) we could also install dog steps in the badly eroded section. This event will be the last one in the summer season, the first event of the next series will be in September 2010 (a schedule will be published shortly). Further details on the meeting arrangements for the event can be found here. 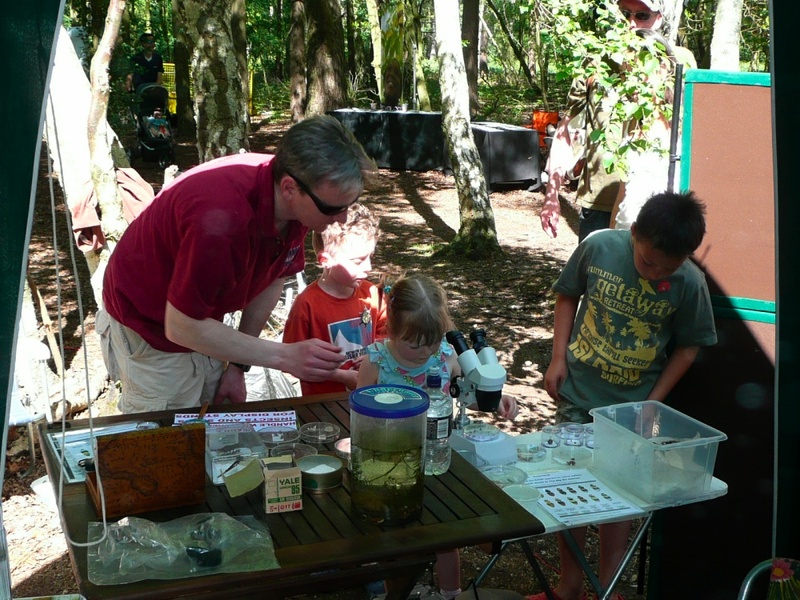 On Saturday 22 May, International Biodiversity Day was celebrated at Fleet Pond. The weather was luckily excellent! 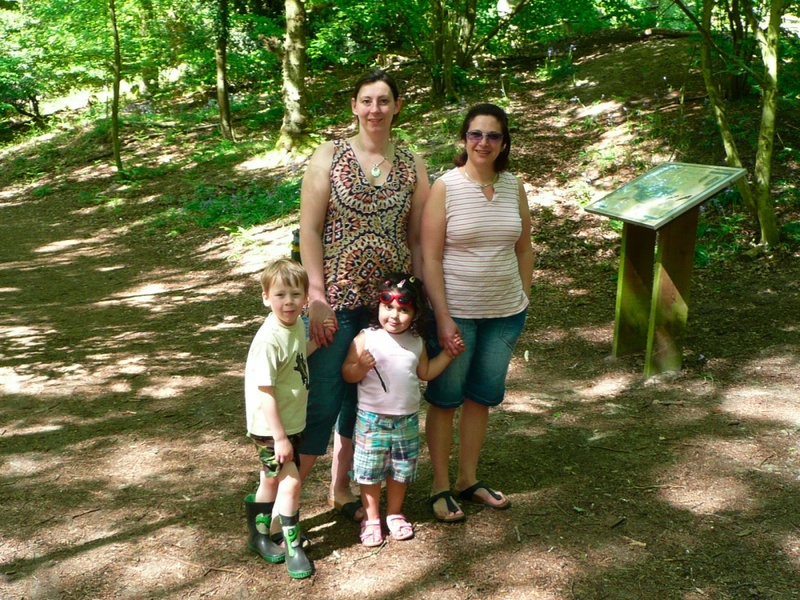 There was a very good turn-out and here are some photos of visitors enjoying the event. 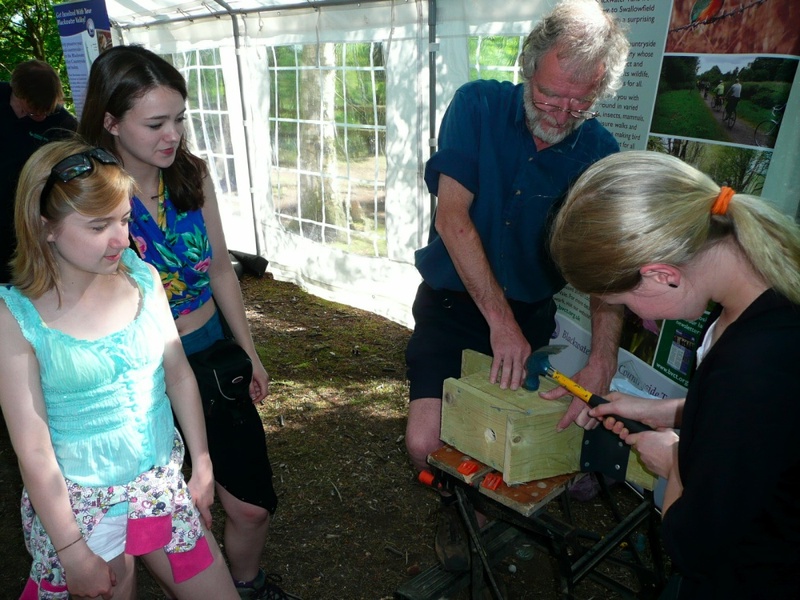 Making a bird’s box – mind your thumbs! 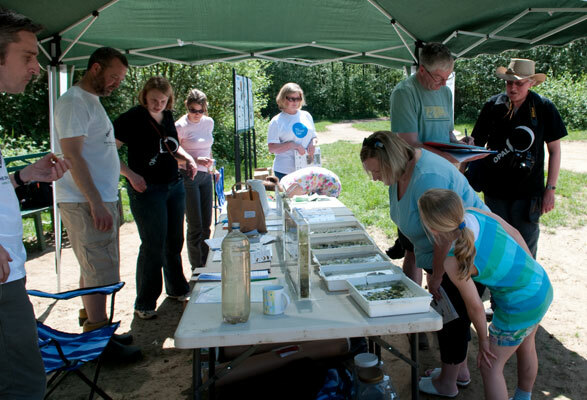 You are currently browsing the Fleet Pond Blog blog archives for June, 2010.